After 2 intense weeks of rehearsals and 5 shows at The Tower of London, this amazing journey has come to an end but with so many highlights and such great feedback! 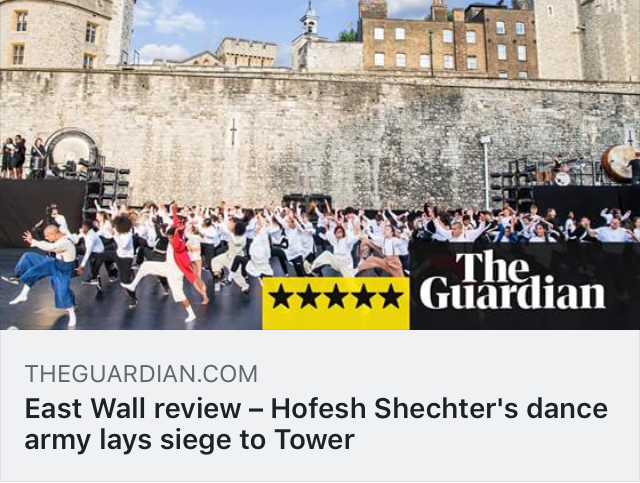 The Guardian has given this incredible show directed by world acclaimed choreographer Hofesh Shechter, who I had the immense pleasure to work with, a five star! 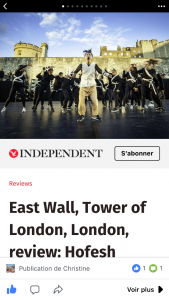 Their review of Est Wall is HERE. 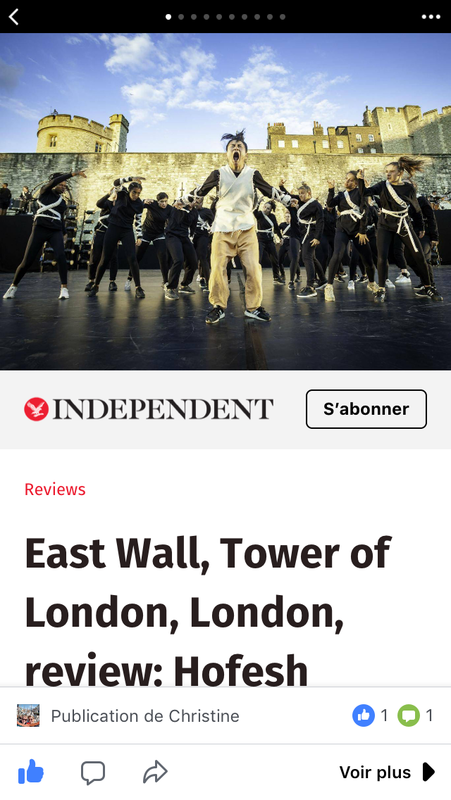 The Independent, the BBC, The Stage, The Times, Culture Whisper and The Wonderful World of dance have all been writing great reviews about it and this makes me really proud of the entire team I’ve been involved with. 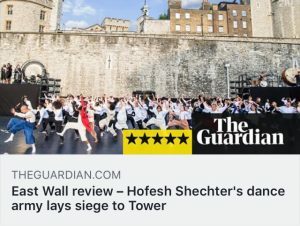 Thank you to Hofesh Shechter Company and all the dancer and musicians involved. This is an experience and highlight of my musical journey that I will never forget!